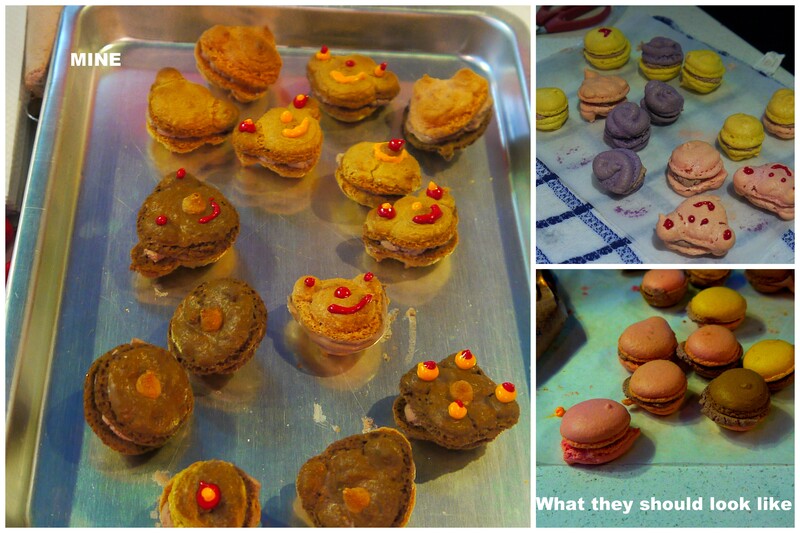 So on Thursday night, a friend and I went for a macaroon-making session at a studio in Causeway Bay. We found a good deal on Groupon and bought our vouchers as soon as we could. Best. Decision. Ever. Okay, maybe not EVER, but you know what I mean. 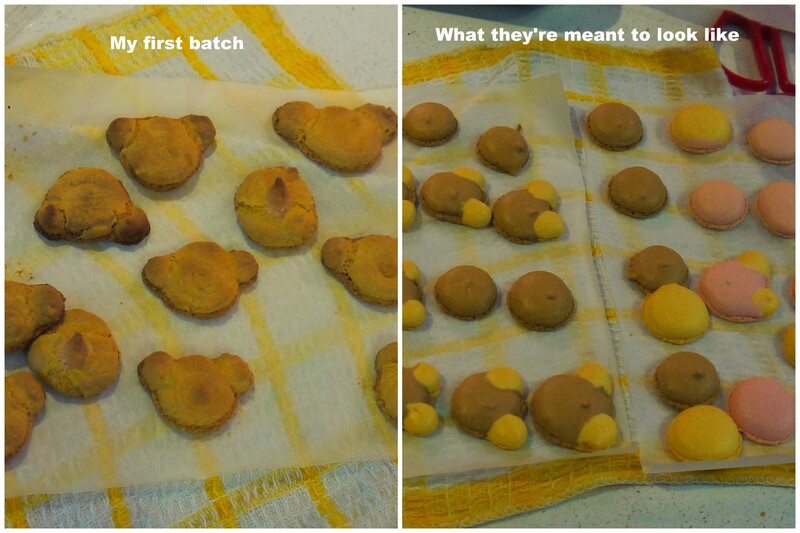 Let me just say that right from the beginning, my macaroons were destined for failure. The very first step. 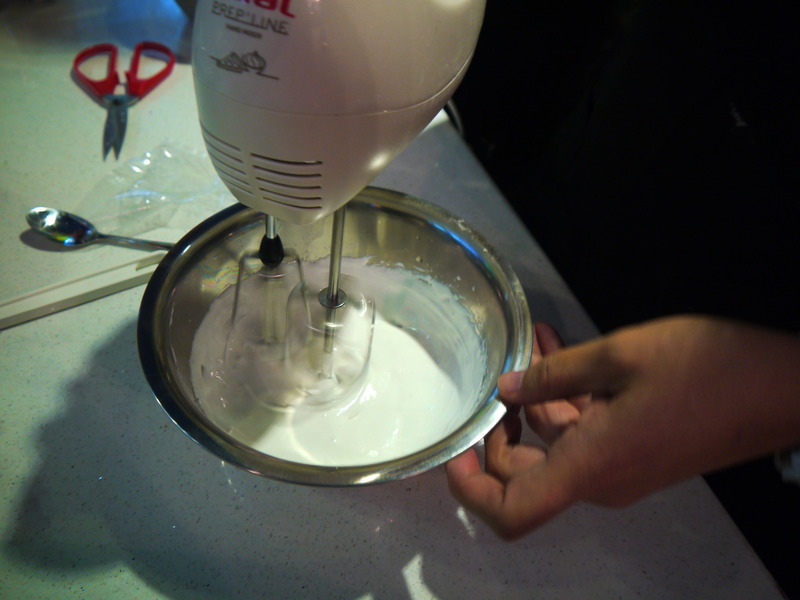 The egg white and sugar mixture was meant to be foamy/fluffy after a few minutes of whisking. I still don’t know if I messed up, or if my electric whisk wasn’t functioning properly. Needless to say, I had to trash that mess and start all over again. This should have been the red flag warning. I was trying to be creative by making new designs and some I saw other people doing/designs the instructor had shown me, but of course mine came out blehh. 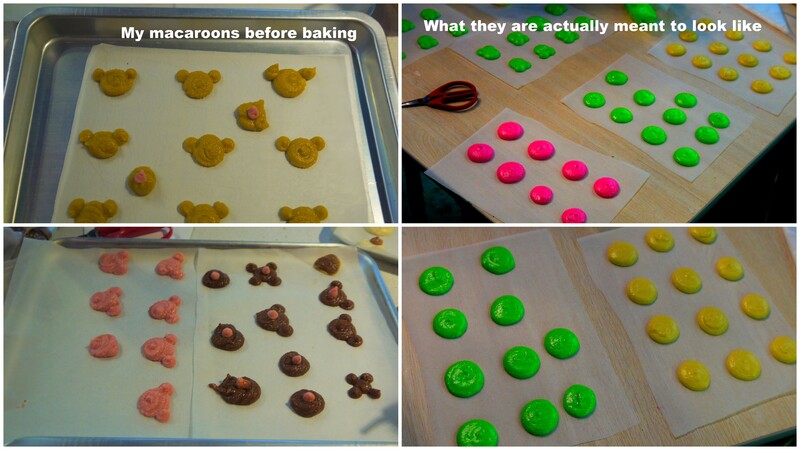 Maybe if I had just stuck with the normal circle-shaped macaroons I actually see in bakeries but noooo. Although to be fair, I think they would have still come out the same way, texture-wise at least. First batch out of the toaster oven. Hahahahaha. At this point, I really didn’t care what they looked like anymore. It was just a bit depressing looking across the table and seeing these glorious macaroons making mine look like dog poop. But at the end of the day, although mine didn’t look like the perfect macaroons you see at Ladurée, they tasted REALLY good and left me wanting more when they were gone. If you’re in Hong Kong and you want to learn how to make some interesting and yummy macaroons, here’s the place to do it. Did I mention the unlimited snacks and drinks that came with our session? 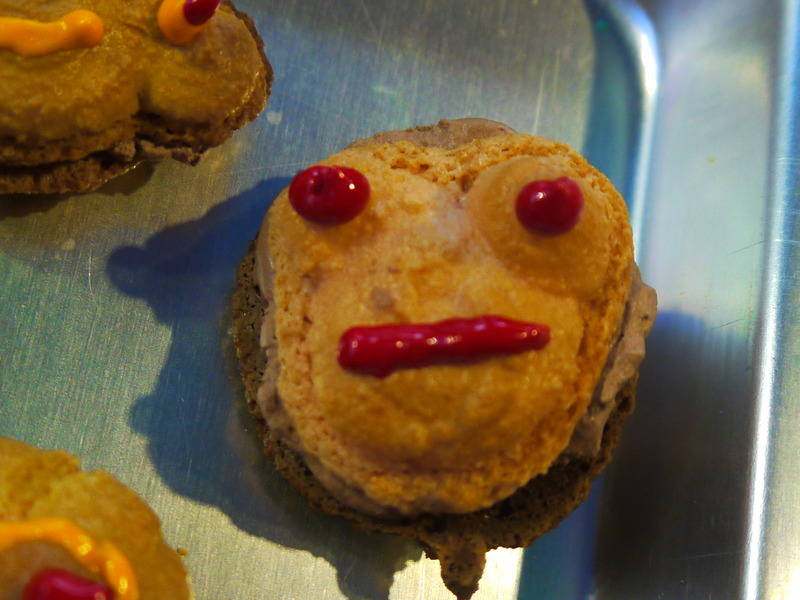 I’ll leave you with a photo of a pleasant-looking macaroon of mine. This entry was posted in Class, Crafts, Food, Hong Kong, Uncategorized and tagged Causeway Bay, Groupon, Hea Bakery, Macaroons. Bookmark the permalink.